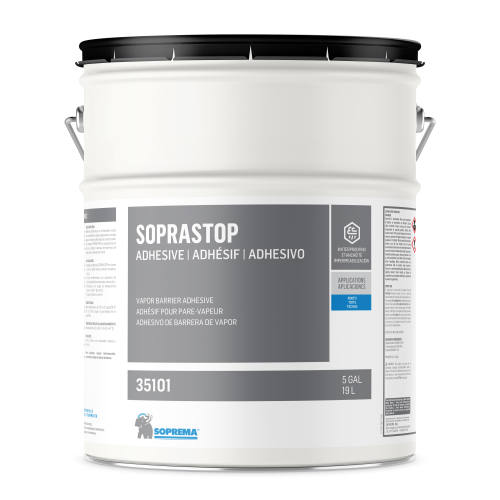 Adhesive made with fast-evaporating solvents, bitumen and SBS polymers developed to bond various construction materials and to adhere side and end laps of Kraft paper vapour barrier sheets. In all cases, the components installed above the vapour barrier (Kraft paper) must be mechanically fastened. Store in a cool, dry area. Will not freeze.